New "Foundations of College Math" class will help Delaware students ramp up for college-level math classes | Back to Basics Learning Dynamics, Inc.
From approximately 19% at the University of Delaware, to a whopping 80%+ at Delaware State University, Delaware high school grads enrolling as freshmen are simply not prepared for college-level math. These students must begin their college journey with remedial math courses which do not count toward their degree, often delaying graduation. To tackle this pervasive problem, education leaders in Delaware have brokered a deal with Delaware’s colleges and universities. If students can pass a new math class, “Foundations of College Math,” in their senior year, they are now guaranteed to begin college in a math class that will count for credit. The new class will replace current fourth-year math courses. 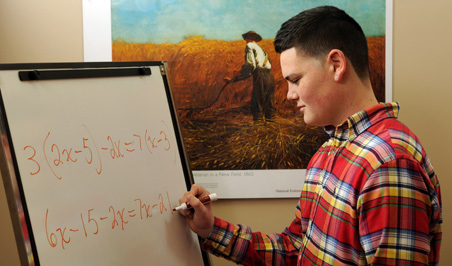 “Foundations of College Math” will focus on geometry, algebra, and statistics and is being piloted at Concord High School, Laurel High School, and Woodbridge High School. Adult education: For job seekers or job changers, adding new, relevant skills is crucial!